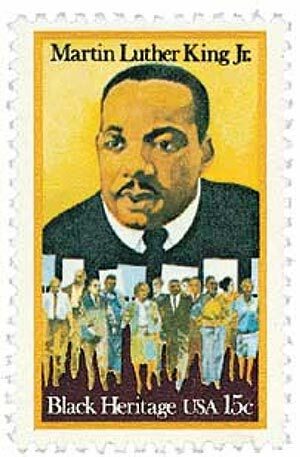 U.S. #1771 – Martin Luther King, Jr. Day was first celebrated as a federal holiday on January 20, 1986. Civil Rights activist Martin Luther King, Jr. was born on January 15, 1929 in Atlanta, Georgia. The middle child of a Baptist minister, he was born Michael King, Jr. In 1931, his father succeeded his grandfather as pastor of the Ebenezer Baptist Church. It was at this time that his father changed his name to Martin, in honor of the German Protestant leader Martin Luther. Michael Jr. eventually adopted this name change as well. 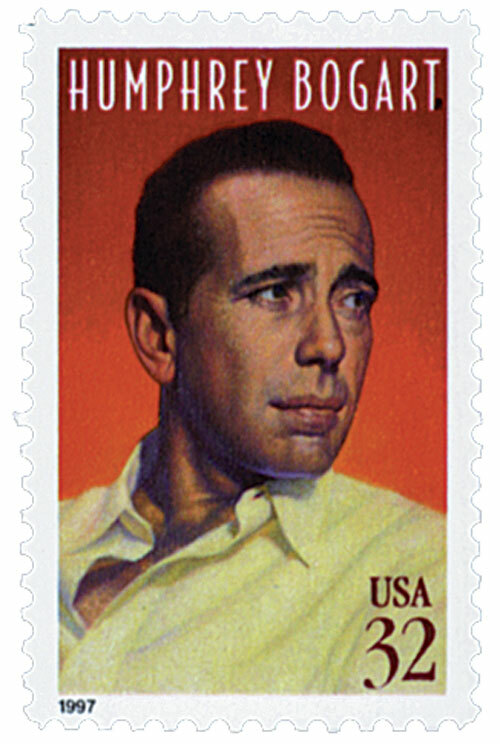 U.S. #3152 – In his nearly 30-year career, Bogart appeared in 75 feature films. On January 14, 1957, we said goodbye to Humphrey Bogart. Born December 25, 1899 in New York City, Humphrey Bogart was the oldest child of a successful surgeon and a commercial illustrator. In 1918, with no other career options, Bogart embraced his love for the sea and joined the U.S. Navy. He was a model sailor, spending most of his time in service ferrying troops back from Europe. He worked a number of odd jobs after that, including shipper and bond salesman. It was at this time that his friend Bill Brady, Jr., got him a job at his father’s business, World Films. 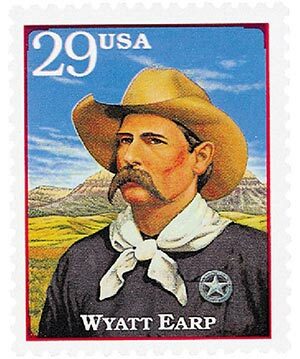 After a life of wandering the frontier as a lawman, businessman, and gambler, Wyatt Earp died on January 13, 1929. The third of five sons, Wyatt Earp was born on March 19, 1848 in Monmouth, Illinois. His father was often restless and frequently moved his family throughout the unsettled American West, hoping to strike it rich. Wyatt had this same restless spirit that led him to wander the frontier for most of his life. U.S. #2182 – London wrote 51 books during his life, though several weren’t released until after his death. 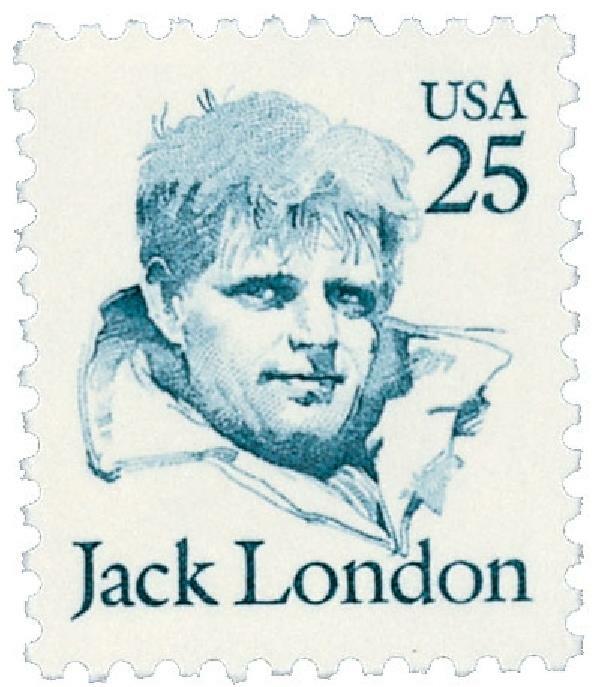 Acclaimed writer Jack London was born on January 12, 1876, in San Francisco, California. Born John Griffith Chaney, the future author adopted the name “Jack” at an early age. And he took the surname London from his step-father John London, a Civil War veteran. The young London credited his rise to literary success to his reading of the Victorian novel Signa in 1885. He spent many of his childhood hours in the Oakland Public Library with librarian and future poet laureate, Ina Coolbrith. 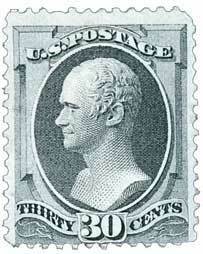 U.S. #154 – Hamilton helped found the New York Post in 1801. Alexander Hamilton was born on January 11, 1755 (or 57 – the year is unknown), in Nevis in the British West Indies. Hamilton began working as a clerk in an accounting office when he was about 11 years old. When his employer realized how bright Hamilton was, he sent him to America for an education. In 1773, Hamilton arrived in New York and attended King’s College. His focus soon turned from education to politics. The following year, he wrote his first article in defense of the patriots’ protests of British taxes. U.S. #2177 – Historians doubt some of Cody’s stories from his early life, believing they were made up for publicity. On January 10, 1917, famed scout and showman “Buffalo” Bill Cody died. William Frederick “Buffalo Bill” Cody, was born on February 26, 1846, in LeClaire, Iowa. Following his father’s death, Cody took his first job as a driver on west-bound wagon trains at age eleven. In that role, he rode on horseback alongside trains delivering messages between drivers and workmen. Cody became an accomplished horse wrangler, hunter, and “Indian fighter” by his teens.